Kim Kardashian just wants her sisters to be happy and healthy, which is why she’s wishing for the end of Khloé’s relationship with her cheating boyfriend and baby daddy, Tristan Thompson. According to the Hollywood Life, Kim is “counting down the days” until Khloé and baby True get the hell out of Cleveland and return home to Calabasas. 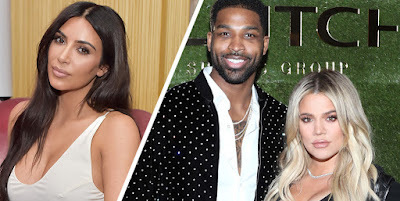 Ever since news broke that Tristan had cheated on Khloé, just days before she gave birth to their daughter, reports about Khloé’s well-being have been contradictory: Does she feel like she’s “living in hell?” Is she trying to make things work? Is she lying about everything? One person who has been explicit and steadfast in her sentiments is her sister Kim, who last month called the whole scenario “fucked up.” And, according to a source close to the Kardashians who spoke to Hollywood Life, Kim’s feelings haven’t changed.